Portal 2 has been crowned the ultimate game of the year in the GamesMaster Golden Joystick Awards 2011. 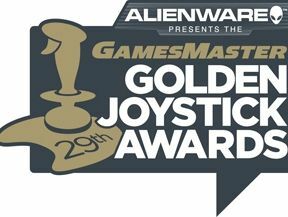 In association with Alienware, the Golden Joysticks are in their 29th year, and it is Valve that is celebrating the top gong, with the puzzler pushing out big name rivals to take the crown. More than two million votes were cast, making it officially the biggest ever gaming awards according to the Guinness World Records people, and a glittering ceremony saw Elder Scrolls V: SkyRim win the coveted one to watch and Assassin's Creed: Brotherhood take the action/adventure crown. Fifa 11 won the best sports game and Call of Duty: Black Ops won best shooter with the the Nintendo 3DS grabbing the Innovation of the Year award. Sonic the Hedgehog's 20 years as a gaming icon saw the blue hedgehog win the outstanding contribution award. James Kick, Associate Publisher of The GamesMaster Golden Joystick Awards said: "The GamesMaster Golden Joystick Awards is officially the biggest - and certainly the best - celebration of video games in the world. "This year the categories were even more closely contested than ever - but the gaming public have spoken, and today's winners really are the cream of a fantastic crop."